Mei-Shun’s first workplace in Shinagawa accommodated splendid view from a wide window facing the sea under an expressway bridge, where rainbow often saw us rejoice its perfect color and shape. A national research institute has many lovely trees including her favorite 山櫻=yama-sakura, a wild cherry. 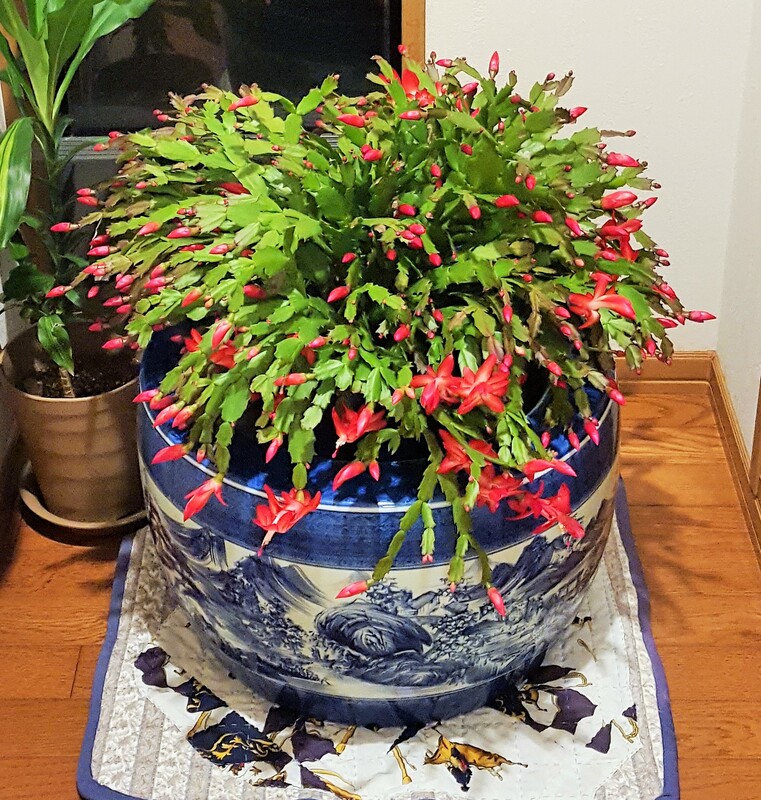 And her current office at home enjoys Christmas cactus in a big pot of Shin’s grandfather this year.